Julia Gaudio, Managing Director and salon owner. 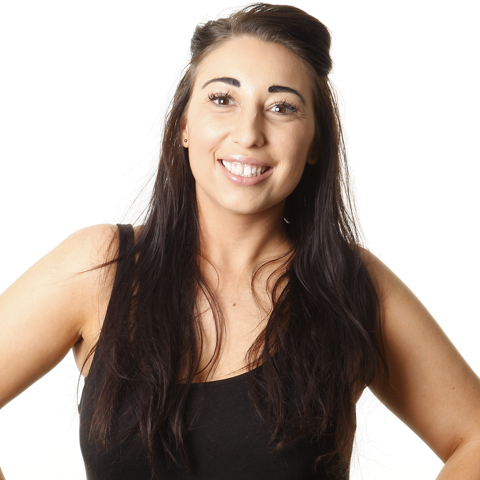 “I’m Julia Gaudio and I opened Elajé Hair & Beauty in Cambridge back in 2008. The salon is a result of many years assisting and training, to managing a salon before eventually fulfilling my dream to own a salon of my own. My role has been to direct this business from a start-up venture to the thriving salon it is today and one that I am very proud of. I split my time working in the heart of the salon working as a hairdresser as well as planning and managing the business. I spend a considerable amount of time motivating the team through training days, networking, and attending industry events. I put a high premium on developing a happy, highly motivated and skilled team which I believe reflects on the Elajé experience. I need to know that what we promise can be delivered to an exceptional standard, which is why I invest a huge amount of time in all areas of education. My attitude towards Elajé is to deliver honest, first-class hairdressing and make sure every client makes the very best of what they have. I am not frightened to say if something is wrong for you or that this treatment would best suit you. I always ensure I am one-step ahead and remain at the forefront of the industry which is my absolute priority; whether it is new beauty service or education program. I am confident that we can provide you with the very best service and treatments here at Elajé and guarantee our Look Like You ethos will make your hair or beauty appointment a truly exceptional experience.